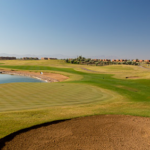 Located in the south of Marrakech in a calm and relaxing environment surrounded by olive and palm trees, this course was conceived and designed in a desert style landscape (with waste bunkers) by its Canadian designers. Ourika offers a true golfer’s paradise combining performance and pleasure with stunning views of the snowy peaks of the Atlas Mountains. 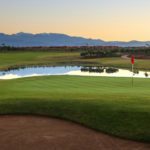 Managed by Troon Golf, Ourika offers wonderful practice facilities and superior service on the golf course as well as a pleasant clubhouse. 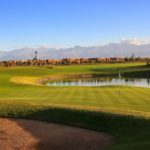 This course is probably the most difficult challenge for golfers in Marrakech. 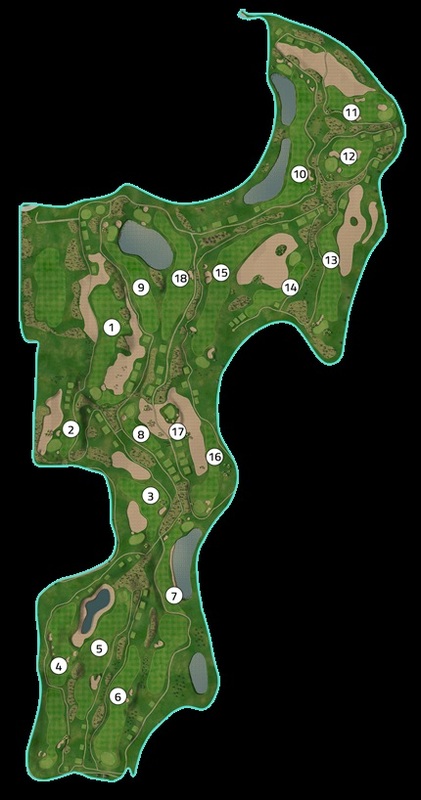 The course offers wide, generous fairways framed by large, sandy waste areas – long carries are required in places. 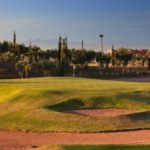 As in most of the Marrakech golf courses, there are different tee positions to suit abilities of golfer. There are also six lakes to add variation to the desert theme. The 8th and 17th are of particular interest as they sit side by side with a waste area and palm trees separating the two fairways. The table top greens pose a particular challenge to land and stop the ball. This is the first cart-only club in Morocco with each buggy equipped with a GPS system. Ourika is becoming the course that gets the best feedback as well as presenting the biggest challenge so is very high on our list of recommended courses.